 Welcome to Club Vitalize at Solihull College & University Centre, a modern and stylish fitness centre in the heart of Solihull. Now open to the general public, Club Vitalize offers top facilities, a range of group exercise classes and affordable membership fees for everyone! Membership to Club Vitalize is available to the general public for as little as £100 per year or £15 per month* Twilight Membership offers you a friendly, personal fitness experience in a relaxed environment. No fixed contract or direct debits! Twilight Membership runs alongside academic term times. During term time you will have access between 7.00-9.00am in the morning and 16.00-21.00pm in the afternoon/evening and between 8am-6pm on Saturdays. During holiday periods (except Christmas) you will have full access to the facilities during the above opening hours. *Annual membership of £100 must be a single payment. Minimum age of 18 applies. 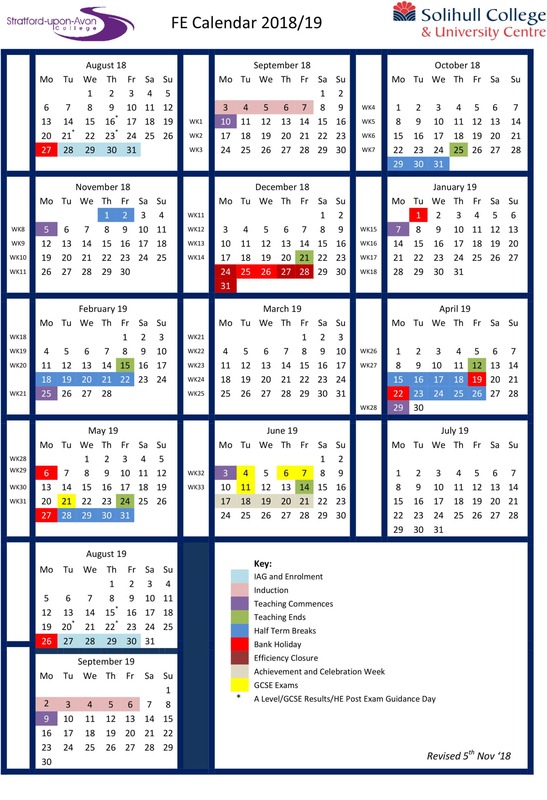 See our Access Calendar for term dates and further information. Open to friends or family of every student or member of staff of Solihull College & University Centre. Sign up to three new members to Club Vitalize for as little as £100 per year or £25 per month* Friends and family will have full access to the facilities during opening hours (7am-9pm Mon-Fri, 8am-6pm Sat). Sign up to Club Vitalize for as little as £100 per year/£25 per month (Staff) or £100 per year/ £15 per month (Student). You will have full access to the facilities during opening hours (7am-9pm Mon-Fri, 8am-6pm Sat). Call 0121 678 7370 or call into Club Vitalize for more information. 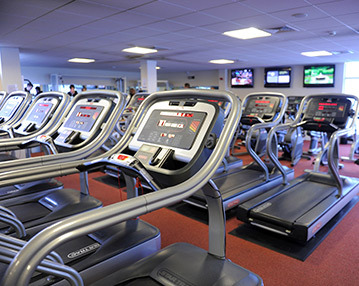 Facilities include; extensive modern gym with free weights area, group exercise studio, sports hall, steam room, sauna, sports therapy clinic and large changing rooms with showers, hairdryers and lockers. The Sports Centre at Club Vitalize houses a multi-functional Sports Hall, Group Exercise Studio and classroom equipped with interactive smart boards in a contemporary and relaxing environment. An extensive range of sports facilities are available for use by various organisations in the West Midlands. Near the centre of Solihull, and close to both Birmingham and Warwickshire, Club Vitalize is easily accessible by road or rail. The Sports Centre is always fully staffed to ensure that your experience is enjoyable, welcoming and unique. 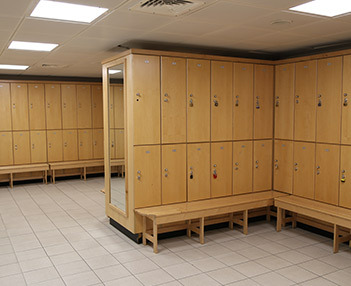 Included within the hire of our facilities are spacious changing rooms equipped with showers and lockers. A range of catering options to suit all budgets can be provided upon request. Bespoke packages are also available. 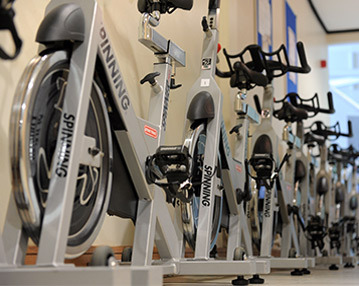 The Sports Hall is available for a wide range of sports activities including 5-a-side football, badminton, netball, basketball, cricket, volleyball and indoor athletics. The hall is available to hire on a casual/adhoc basis. We also welcome seasonal and block bookings. The classrooms, based on the first floor of the Sports Centre are bright, spacious and suitable for meetings, training events and seminars. The rooms are equipped with an interactive Smart board. Additional resources are available upon request. The Studio is available for a wide range of activities including circuits, martial arts, yoga and pilates. The studio is available to hire on a casual/adhoc basis. We also welcome seasonal and block bookings. All members will have free access to the classes below during term time. Mat based exercises designed to correct posture, alignment and improve core strength and stability. Relaxation techniques are used to release tension and reduce stress. A fun total body workout building a body capable of handling real life situations doing real life activities. Challenging you the way nature intended, this class will improve everything from muscle tone and strength to aerobic endurance. Suitable for all abilities and levels of fitness. One for the early risers! A great opportunity to stretch out and limber up by using a range of mat based and standing exercises. You'll be encouraged to use your core whilst stretching and stabilising to improve flexibility, posture and mobility. An addictive workout that challenges the while body by combining aerobics, step and body conditioning all in one class. A great way of torching calories, this class will improve aerobic endurance, strength and flexibility. Suitable for all abilities and levels of fitness. A full body workout focusing on all major muscles of the body which guarantees to get you working. This class combines resistance and cardiovascular training to improve your strength, aerobic endurance & muscular endurance. Suitable for all abilities and levels of fitness. A Personal Trainer will inspire you to take a fresh new approach toward exercise and lifestyle. They can offer you nutritional advice to help you take a holistic approach to working towards your goals! For more information on how to receive Personal Training please contact a member of the team. We have teamed up with BeMore UK, who will be offering physiotherapy, sports therapy, sports nutrition & sports massage. Assisting at all stages of the rehabilitation process, from injury to full functional fitness. They cover a wide range of treatments and can treat a wide array of injuries from neck and back pain, elbow, knee or ankle pain or occupational or sports injuries. Once you become a member at Club Vitalize you will be offered a consultation & bespoke fitness programme designed around your specific goals and targets. Our expert and friendly team have a wealth of experience and knowledge ensuring you reach your full potential. In partnership with Club Vitalize, qualified nutritional advisors will construct an individual and mutually agreed eating plan that can support the client’s desired goals. Following consultation and a variety of assessment including body composition analysis, health checks and assessment of the client’s current dietary plan and lifestyle, a holistic, health centred plan can be produced with an aim to achieve a range of goals including fat loss, muscle gain, sports performance and supporting medical conditions to provide optimum health. Opening times vary during holidays and bank holidays. Please contact 0121 678 7370 for more information. Twilight membership is limited to specific accessibility during term time. Please see the membership options section for details. We are the data controller of personal information about you. We are Club Vitalise which is a part of Solihull College & University Centre. Our address is Blossomfield Road, Solihull, B91 1SB. Our Data Protection Officer is Sam Bromwich. If you have any questions about this policy or the ways in which we use your personal information, please contact our Data Protection Officer via email data.protection@solihull.ac.uk or telephone 0121 678 7046. We will collect personal information from you when you apply for membership of Club Vitalize. This will include your: Name; address; phone number; email; date of birth; and medical information relevant to your usage of the facilities. We collect and use your personal information on the basis that it is necessary for performing the membership contract with you, or it is necessary to take steps before entering into the contract with you. We also collect and use your personal information on the basis that we need to do so in order to comply with our legal obligations, including ensuring your safety when using the facilities. Information that you provide when you apply for a gym membership is held for the legitimate interest of processing and administering your membership. We will not keep your personal information for longer than we need it for the purposes we have explained above. We will keep your personal information for 12 months after your membership ceases. We do not share the personal information that you give us with third parties..